Germany’s Gauselmann Group isn’t just about gambling machines. 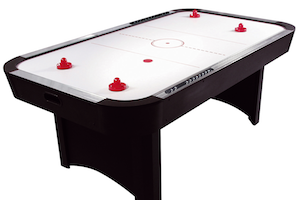 The company has one product in the amusement sector, the Toronto air hockey table, that is making a reputation for itself in German amusement locations. 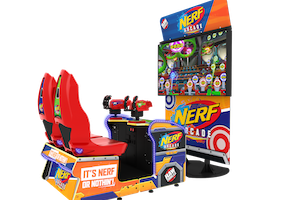 New from Raw Thrills is Nerf Arcade, developed in conjunction with toy manufacturer Hasbro. The latest addition to the carnival classic series, Bean Bag Toss, is performing well for Sega Amusements International. 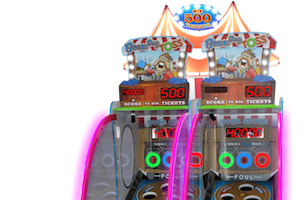 The 20th game for the Omniverse, the cloud-based content distribution and arcade management platform included with each Omni motion platform and VR Arena attraction is Bull Runner. 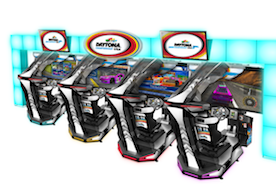 Following our previous news concerning the SDLX version of Sega’s Daytona Championship USA, the company has now made an official announcement. 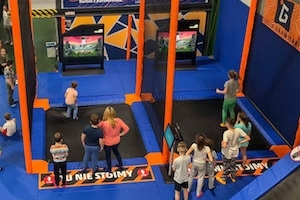 Finnish manufacturer Valo Motion has developed the world’s first two-player augmented reality trampoline experience.